Can I Have Your Autograph, Dead Author? You probably know the story: Robert Jordan wrote 12 amazing epic fantasy books – Wheel of Time series – and outlined three more that he was unable to complete before he passed away in 2007 (for those of you purists counting, I have included New Spring as one of the series, though it was written out-of-sequence). His wife persuaded Brandon Sanderson, already a respected novelist in his own right, to finish the series for her husband. I learned about this from an interview with Mr. Sanderson, which was both compelling and offered with wonderful humility – if you can find the interview, please leave the link in the comments. The whole idea of writing someone else’s book is stunning to me – no disrespect meant to ghost writers – I think this is different. So A Memory of Light comes out in 2013 to great aplomb. It is the end of an era, a wonderful legacy by a rising hero to a master etc. etc. We fantasy readers get very emotional when the great stories actually transcend the page. I’m sure you can imagine my joy when I pick up a book in a used bookstore and discover not only Mr. Sanderson’s autograph but also Mr. Jordan’s. I instagramed, showed my kids and began writing this blog post. How exciting to imagine both men sat together at this historical moment in epic fantasy history and autographed the very book I now possess. Here’s the problem: Only as I began to compose this post did I realize that Robert Jordan had been dead for five years when he autographed my copy. It is a strange feeling that his ghost would go to such trouble, and that he could even hold the pen, though personally I still get a kick when a reader asks me to sign their copy of one one of my books – though whether this feeling would follow me into the great writing retreats beyond, who knows? So how should I feel? It felt such a privilege to own this book and now I’m not sure want to think? Still, I will be better prepared next time I ask a dead author to sign my book. Alon Shalev is the author of the 2013 Eric Hoffer YA Book Award winner, At The Walls of Galbrieth, The First Decree, and Ashbar – Wycaan Master Book 3 – all released by Tourmaline Books. His latest novel is Sacrificial Flame, the fourth in the series. This entry was posted in Humor, Other Authors and tagged A Memory of Light, A New Spring, Alon Shalev, Ashbar – Wycaan Master Book 3, At The Walls of Galbrieth, author interview, Autograph, blog post, book award, Brandon Sanderson, Dead Author, Eric HOffer, Fantasy Readers, ghost, ghostwriters, Google+, instagram, master, Mr. Sanderson, rising hero, Robert Jordan, Sacrificial Flame, social justice, The First Decree, Tourmaline Books, Twitter, Unwanted Heroes, used bookstore, Wheel of Time, YA. ← Writers Hate Writing. Really? Reblogged this on Thornton Berry Shire Press. 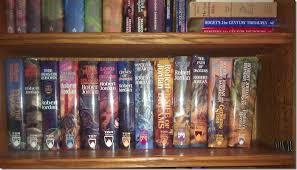 The Robert Jordan signature is printed by the book manufacturer. It is printed in every hardcover of A Memory of Light. So I have learned, Rob. 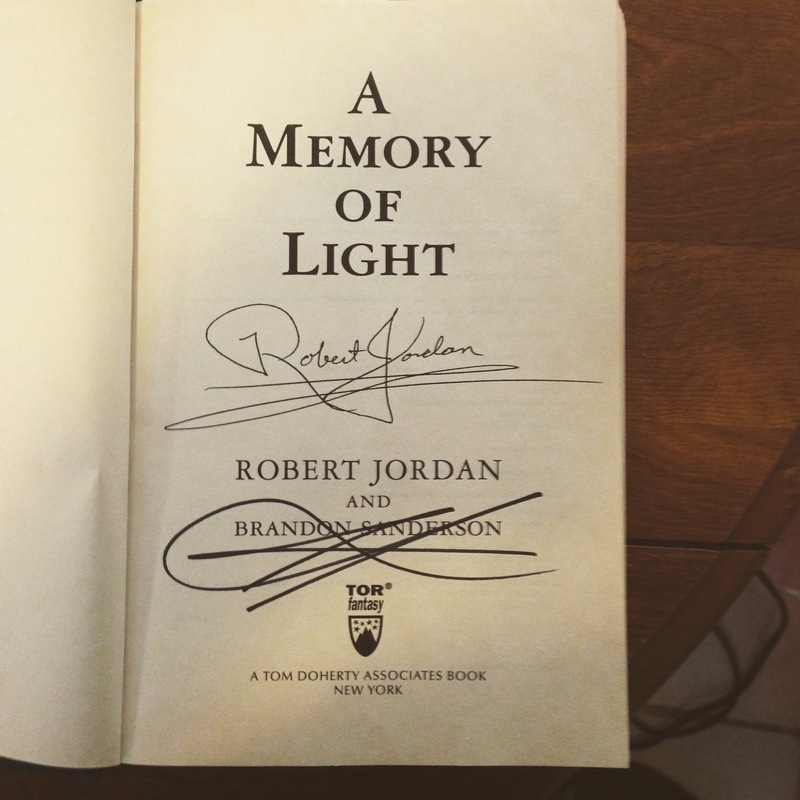 I received a lovely email from the folks at Dragonmount explaining that Brandon Sanderson said he would never autograph one of the WoT books without Jordan’s signature – respect. What an incredible find! I would dearly love to own any copy of a WoT with the great man’s autograph. One of my best finds EVER was a copy of WoT personalized, dated, and signed by RJ. 1ST/1ST Like new in a used book store for $14. Excited doesn’t even come close to my reaction. Felt like I won the book lottery! A treasured part of my collection.